*When following proper use and care instructions. To remove heavier dirt and grime or sticky residues from surfaces, first use a damp EnviroCloth® with a couple of drops of Norwex Washing-up Liquid to remove the residue. Wipe the surface clean, then polish with the Stainless Steel Cloth. Slightly dirty microfibre can be washed with Norwex Washing-up Liquid under warm running water and used again. For tough stains, please pre-treat with Stain Remover or use Microfibre Cleaner Laundry Booster. 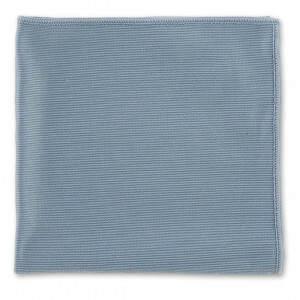 Norwex Microfibre has the ability to remove up to 99% of bacteria from a surface with only water when following the proper use and care instructions. BacLock*, our exclusive micro silver agent in the cloth, goes to work with self-purification properties against mould, fungi and bacterial oduor within 24 hours so that it is ready to use again. *Contains BacLock, an antibacterial agent for selfcleansing purposes only. The agent is solely designed to inhibit odour from bacteria, mould and/or mildew growth within the product.